Other celebrities include President Obama, Guns and Roses and Mick Jagger. Berkoff's first direction of a documentary film, Eat Dollink, is showing in London on 24 Jan 2017. Berkoff will also answer questions after the session. 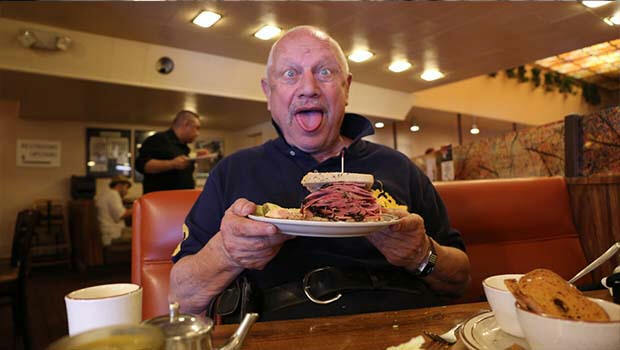 "There is nothing in the world as satisfying, edible, exotic and all-embracing as an American Deli. So one day I decided I wanted to pay a tribute to one of my favourite delis, ‘Canters’ in West Hollywood. I’ve been going there on and off for over thirty years and each time I return, I am glad to note that it still hasn’t changed, like it’s there forever. It’s also 24 hours and so it is always open, except maybe for one day a year."